Join the Chinese-American Museum of Chicago – Raymond B. 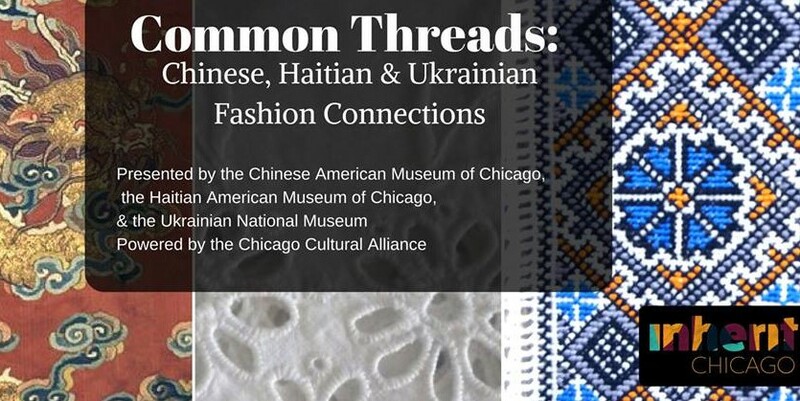 & Jean T. Lee Center, Haitian American Museum of Chicago-HAMOC, and Ukrainian National Museum for a panel discussion on the connection of traditional techniques in modern trends from three corners of the world – America, Asia, and Europe. Global traditional garments will be showcased on mannequins and models, sharing commonality and influence of the three cultures and providing a new perspective of cultural heritage through clothing. This program is a part of the Chicago Cultural Alliance’s Inherit Chicago. Inherit Chicago is a city-wide festival of art, ideas, and performance at neighborhood heritage museums and cultural centers. Head to InheritChicago.org for a full list of events!